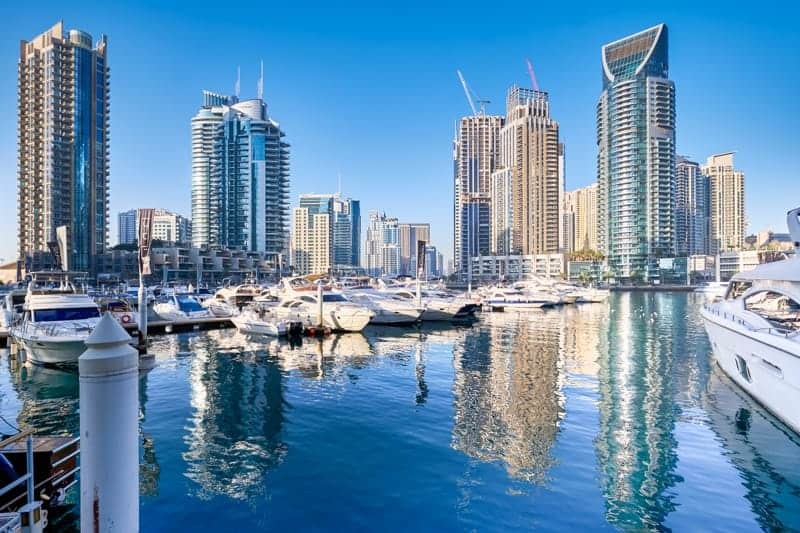 Dubai Marina is a man-made marina lying between Al Sufouh and Jebel Ali. With over 200 high-rise towers, including 40 towers of the Jumeirah Beach Residence, it is the world’s largest man-made marina. Hotels and places to stay in and around this area include Sofitel Dubai Jumeirah Beach, Amwaj Rotana, Wyndham Dubai Marina, Marina Byblos Hotel, JA Ocean View Hotel, Le Royal Meridien Beach Resort & Spa, Ramada Plaza Jumeirah Beach, JA Oasis Beach Tower, One&Only Royal Mirage, Media One Hotel Dubai, Hawthorn Suites by Wyndham Dubai, Tamani Marina Hotel and Hotel Apartments, Marina View Deluxe Hotel Apartment, Roda Amwaj Suites Jumeirah Beach Residence, Pearl Marina Hotel Apartments, Lotus Hotel Apartments & Spa Dubai, Arjaan by Rotana Dubai Media City, One&Only The Palm Dubai, Jannah Marina Bay Suites, Hilton Dubai The Walk, Grosvenor House Hotel and Apartments, Movenpick Hotel Jumeirah Beach, Westin Dubai Mina Seyahi Beach Resort & Marina, Habtoor Grand Resort Autograph Collection, Hilton Dubai Jumeirah, Le Meridien Mina Seyahi Beach Resort and Marina, The Ritz-Carlton Dubai, DoubleTree by Hilton Hotel Dubai - Jumeirah Beach, Dubai Marriott Harbour Hotel & Suites, Jumeirah Zabeel Saray, The Address Dubai Marina, Nuran Marina Serviced Residences Dubai, Radisson Blu Residence Dubai Marina, Sheraton Jumeirah Beach Resort, InterContinental Dubai Marina, and Rixos Premium Dubai. 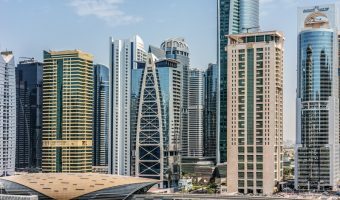 Properties at the Dubai Marina and Jumeirah Beach Residence are predominantly expensive tower apartments. The apartments have been popular with property speculators. 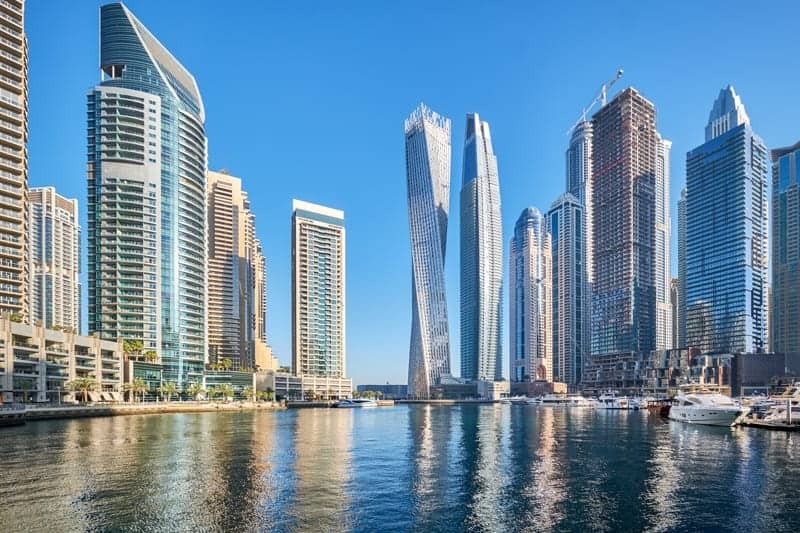 The first phase, Dubai Marina Towers, comprising 6 towers (Murjan, Al Mass, Fairooz, Mesk, Yass, and Anbar) of 1 – 4 bedroom apartments sold out before the buildings were even complete. 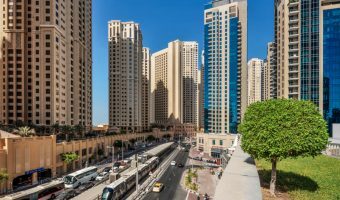 Many of the apartments at Dubai Marina are now available for short term rent, providing a relatively inexpensive alternative to hotels. 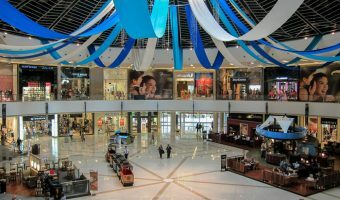 The Dubai Marina Mall isn’t the largest of malls but offers a decent number of shops including a Waitrose supermarket. There’s more choice at the Ibn Battuta Mall, just over a mile away. 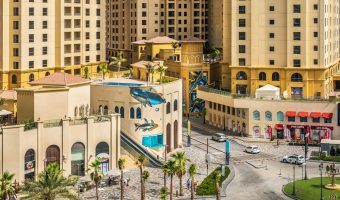 The Walk, a promenade running between the beachfront hotels and Jumeirah Beach Residence, is lined with numerous restaurants and cafes. 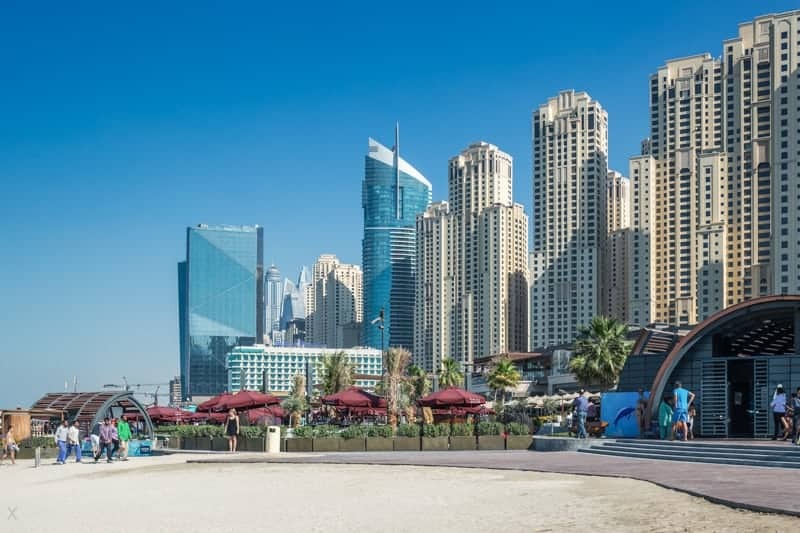 There’s a 6-screen cinema at the Dubai Marina Mall and a 10-screen cinema at The Beach. There are also two golf clubs nearby; the Emirates Golf Club (The Majlis Course and the Faldo Course) and The Montgomerie. 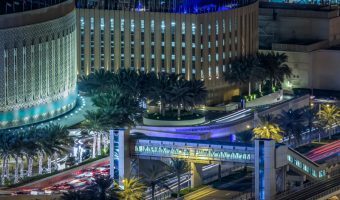 There are no schools within Dubai Marina itself, although there’s a decent choice close by in areas such as Emirates Hills, Al Sufouh, and Al Barsha. Dubai Marina is served by the DAMAC Metro Station (formerly Dubai Marina Metro Station) and the Jumeirah Lakes Towers Metro Station. Both stations are on the Red Line. 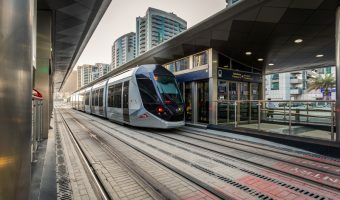 The Dubai Tram opened in November 2014. Trams loop around Dubai Marina and Jumeirah Beach Residence before heading into Al Sufouh. Interactive map of the Dubai Marina. Places of interest in Jumeirah Lakes Towers, directly west, are also shown. Mid-sized mall at Dubai Marina with 6-screen cinema, food court, and Waitrose supermarket. Connected to Address Dubai Marina. 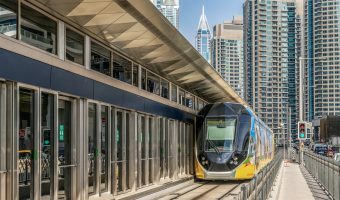 Tram station serving Dubai Marina and Jumeirah Lakes Towers. 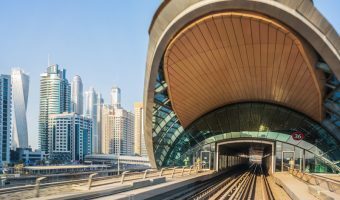 Connects to the Dubai Metro.